Very few of my favorite philosophers approach the topic of Islam in a nuanced or rigorous manner. For instance, in Zizek’s work on Islam, most of his scholarship remains highly ahistoric, it refuses to touch Hadith, or Sunna for that matter, and it remains somewhat essentialist. Nonetheless, it is worth reading Zizek’s Lacanian take on Islam a la psychoanalysis, here. This deficit in scholarship that is grounded in the continental tradition, or that looks at Islam in a concerted manner from a philosophical view — is the reason that I read Roy Jackson’s Nietzsche and Islam. The book is a fairly well reviewed and well-researched book on Nietzsche’s political thought as it relates to contemporary debates about Islam and the state, and reform in Islam. There are, however, a number of problems that I had with Jackson’s work. It is difficult to discern if he is suggesting that Nietzsche’s thought ought to be used to point towards a new Islamic reform movement, because for the record, Nietzsche never had anything substantive to say about Islam as a world religion, or about the role of Islam in a political context. This fact in and of itself might lead some to discard Jackson’s entire project, but it is still an interesting exercise to read Muslim philosophers in parallel with Nietzsche, which is precisely what Jackson does. Jackson borrows heavily from Arkoun, the deconstructionist Muslim theologian/philosopher, and author of the highly influential text, The Unthought in Contemporary Islamic Thought. Arkoun, an avowed Muslim humanist frames the type of Islamic approach to scholarship that Jackson employs. Arkoun incorporates the idea of logocentrism from Derrida, a concept that seeks to interpret the Qur’an solely in terms of language and word linguistic conventions and not based on the the context, time, or place of creation of the text. From the religious perspective, deconstruction is one long hermeneutic on the death of God, as Taylor argues. Through a deconstructionist reading of the contemporary problems facing Islam, Jackson assumes that the “Otherness” that Islam is facing in modernity is primarily its confrontation with secularism. What I appreciated the most about Jackson’s work is his clearing of the record about Nietzsche’s atheism. It is essential to recognize that while Nietzsche was an atheist based on the theistic worship of his time, as Heidegger noted, Nietzsche was the most religious German thinker since Martin Luther. Another key point raised in the text is that Nietzsche was less concerned about any notion of a metaphysical death of God as he was with reformulating the way that salvation is understood. To Nietzsche, religion is the highest form of art. It is concerned with the ultimate, not so much the nature of reality but with the ultimate existential meaning of life. The Kingdom of Heaven was a present reality for Nietzsche as life lived in love. The important question as it relates to a Nietzschean reading of Islam is whether the values of Islam are “life-enhancing,” in the same sense that Iqbal referred to Prophet Muhammad as a Nietzschean was that it had misappropriated the intention of the will to power as rooted in a “utopian ideal for salvation,” in a hereafter or eternal realm (33). Salvation in the ethereal realm is the highest form of blasphemy to Nietzsche. Jackson argues that the biggest idol for Islam, in a political context is the longing for organizing a political state based on the ‘Golden Age narrative of Islam,’ or the Rashidun (the time of the Rightly Guided Caliphs). The argument goes that because the integration of the Rashidun is a form of Platonism, because it posits a realm of perfection, a dichotomy between high and lower, between the forms and material existence. Unlike Platonism, however, Islam founded the ideal forms in the state in Medina and the eventual Rashidun. This schemata for ideal statecraft then became the very basis for an already established set of ideologico-spiritial forms to be replicated for Islamic life to flourish and tawhid (unity of God) to be realized. In the Platonic version, truth must arise out of perfection, yet truth is transcendental. Here is where Jackson rightly points out the intersection between Nietzsche’s philosophy of the will to power and Islam. Nietzsche opposes Plato’s dualistic worldview split between the true world of pure mind, and a lower world of becoming. Nietzsche famously presents a monistic worldview to smash the idols of two-world dualism that has plagued western morality – particularly the dichotomy between good and evil. 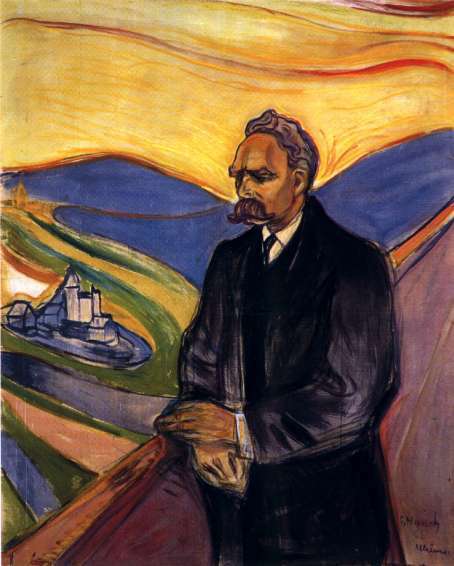 For Nietzsche, philosophy is rooted in a desire to be “other than this nature,” as defined by the Stoics that is “indifferent, wasteful and without mercy and justice.” When Kant claimed that it is not possible to know, that we must return to a transcendentalism, to know God, Nietzsche argues this move is not sufficient, and that we still remain in the Platonic ‘will to truth’ that plagues European thought. The ‘philosopher of the future, to Nietzsche, is one who is able to break free from the scientific materialism as rooted in this dualistic Platonism. What is Islam’s Platonism in this context? To Nietzsche, the ‘soul’ of a people is understood through a series of physio-psychological and linguistics propositions. We cannot simply identify a series of transcendental, unchanging truths to talk about the soul of a people or religion. The philosopher is one who is able to interpret beyond skepticism a new insight into nature. Nietzsche argues that the core responsibility is to distrust all thinking itself, and it is simply not enough to identify a deceptive process in thought itself (Kant), or to see how reality itself is deceptive (Plato). Nietzsche invented three metamorphoses of the spirit, the camel, the lion, and the child, which matches Iqbal’s three versions of self transformation: law, self-control, and the Viceregency of God. The camel spirit is heroic, it takes the spirit head on. In this way, in order for one to become a Muslim one must take on the will of Allah directly. The camel must transcend to the next stage, that of the lion because it must destroy the old values that rested on its soul. “unless you change and become like little children you will never enter the Kingdom of Heaven.” Matthew 18:3. Jahiliyya in the Qur’an is used to refer to “the bigotry of ignorance. This state of jahiliyya as a ‘cultural template’ is similar to Nietzsche’s physio-psychology of ‘soul.’ But there is a danger in this comparison I feel because by arguing that the ‘cultural template’ of Islam always brings with it a stamp of a distinct Arabian context is a mistake. There is a view of Islam throughout history that it has adapted to the local contexts as if it were water blending with the rocks in a stream. Nonetheless, Jackson goes down the Orientalist road to essentialism, and in so doing he brings in Ibn Khaldoun. Ibn-Khaldoun is the first, and arguably the greatest Muslim world-historian who put forth the theory that the Bedouin fall from purity, was not necessarily into a state of jahiliyya, but into a state where the values of the Bedouin soul are lost. Ibn Khaldoun places this loss in the migration into the city and the ascension of a dictatorial style of ruling of an absolute sultan, or rule based primarily on power and coercion. Khaldoun’s ideal model of state is that f the Caliphate model, which Jackson characterizes as “transhistorical” in the Nietzschean sense of the term. To Khaldun, the opposite of jahiliyya is a state of asbiyah, where society has achieved a degree of internal cohesion with religious principles. The unity developed in a state ruled by the principle of asabiyah is based on the moral bonds that develop spontaneously amongst the citizens, and not that as dictated through power and coercion from a despotic ruler in the state of the jahiliyya. While like Spengler, and to a degree Nietzsche after him, Khaldoun put forward a stages of development and taxonomic model for historical change that is rooted in the Qur’anic conception of jahiliyya. The Calpiphate model of state that Khaldoun puts forward as not only the zenith of how the ideal state is to be organized is the Caliphate model. Jackson assumes that the Medinan state developed under the Golden Age narrative of Islam is the perfect exemplar of Khaldoun’s Caliphate model. Islam, unlike Christianity’s Kingdom of Heaven on Earth provides no concrete historical example for emulation. The risk that Jackson makes in associating the soul of Islam to the Nietzschean conception of soul is running into the same Orientalist trap as that of Oswald Spengler who viewed whole cultures as one collective conscious. Spengler is said to be “Nietzsche’s clever little ape” precisely because he extended in his most detailed and systematic monograph, the Decline of the West this application of a civilizational soul to entire cultures. See my paper on Spengler’s Decline of the West, here. Why is applying a soul to an entire cultural worldview dangerous? What Jackson seems to imply is that there are certain aspects of Islam that fit into the Nietzsche historical and those of the transhistorical. The natural assumption remains that those aspects which are historical are to be challenged and even possibly discarded, but those that he deems to be transhistorical are to be supported and expanded. Jackson argues that the Sunni Golden Age narrative actually presents a negative utopia by focusing on “an unrealistic ideal” of attaining the purity of Medina, it has practiced a will to truth that has developed more idols, something highly contrary to Islam. An antidote to this inevitable fragmentation (fitna) that results from the Sunni narrative of the Golden Age is to incorporate Khaldun’s abasiyah for a contemporary world. “the prophetic and Rashidun paradigms have become unworkable idealized archetypes, neither of which existed in reality, and should any attempt be made to make a return to such a paradigm, it would be destined to fail” (Jackson, Pg. 145). 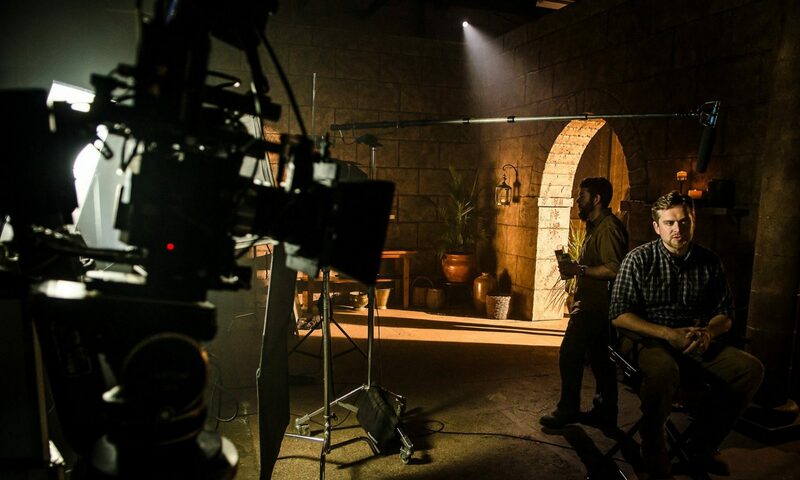 The Rashidun is representative of the drive to mythologize the past which is intimately connected to the will to power – albeit a distortion of the will to power because it is ultimately a fiction-izing of the will to power. In conclusion, Jackson examines “Islam’s Platonism behind the mask of liberalism,” by taking on Mawdudi’s thought directly. Jackson is almost ideologically committed to this desire for Muslim reformers to realize that the longing for the Rashidun is a dangerous tendency. Jackson sees Mawdudi’s direct support for an Islamic state as rooted solely on Qur’anic verse as a form of Platonism that will not reform but keep Islam wedded to “Platonism for the masses” as Nietzsche argued was the problem with Christianity was upon his declaration that God is dead. Jackson argues that Prophet Muhammad is in no way ever seen to be an exemplar head of state and the notion of God dictating, or being involved with the execution of everyday affairs becomes entirely unrealistic. Mawdudi’s limited popular sovereignty, or “itjihad for the few” results in a conception of a society where the individual free will is completely subordinated to the state. Mawdudi’s Islamic state would have no national boundaries, it would be bound firmly by a state, and it would be aligned by race. It would be one massive empire. While it is true that Nietzsche’s criticism of philosophers is that they seek to build a foundation off of immutable foundations, because Nietzsche argues, such an approach is not life affirming and it is the reason that he never bought into the idea of a Kantian universalizability of the moral law. A very interesting read. Excellent.